Text of Press Conference of the Peoples Democratic Party, on the Return of the Abducted Dapchi School Girls Presented by the National Publicity Secretary, Kola Ologbondiyan, Today, March 21, 2018. The Peoples Democratic Party (PDP) condemns the All Progressives Congress (APC) and certain officials in the Presidency for staging the abduction of the schoolgirls in Dapchi, Yobe State, for political purposes. Our Party considers this act as wicked, callous and tormenting to use innocent schoolgirls as pawns in an ignoble script that was designed to hoodwink Nigerians and orchestrate a great rescue and security prowess of a conquering general, all to push a 2019 reelection bid, is an unpardonable gamble with human lives. 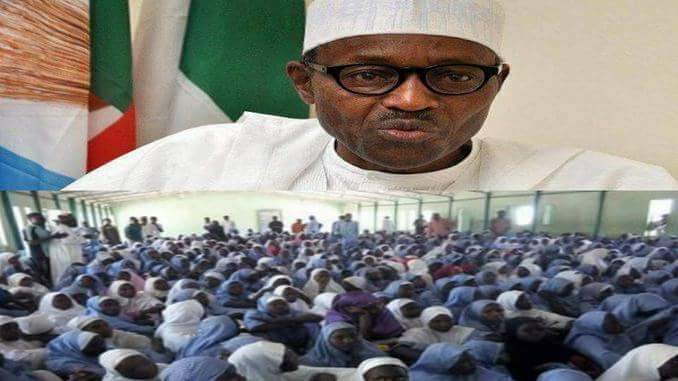 While this failed Dapchi drama remains a poorly crafted tragicomedy: a scam of no equal dimension, Nigerians are not ready to forgive the APC and the Presidency for the torments inflicted on the girls, their parents and the human community worldwide just to score a cheap political point. Nigerians know that the main aim of this devilish act was to delude the public, set the stage for an orchestrated rescue, create a heroic myth and false sense of achievement around the APC administration and serve as a spur for President Muhammadu Buhari’s declaration to contest the 2019 presidential election, perhaps in the coming weeks. As a political party, we want to further state unequivocally that by all ramifications, this is a war crime against humanity and gross violation of human rights on the part of the APC administration, all in the bid to push a selfish and ill-lucked 2019 ambition. There is no evidence that the Boko Haram insurgents or any militant group abducted the schoolgirls in the first place. Rather, what is evident to all is the high level official manipulation of security movements in Dapchi both in the staged abduction and the returning of the traumatized schoolgirls. It is instructive to note that till date, no report has been presented by the National Security Adviser (NSA), who has been charged by President Muhammadu Buhari with investigation of the abduction. This is in addition to deliberate efforts by the government to suppress free flow of information around the abduction. Even the regular Nigerian on the street has examined the events leading to this abduction of our daughters as well as their release and can deduce theobvious. Nigerians are all aware that both the abduction and return of the schoolgirls were dramatically preceded by questionable withdrawal of troops and all security apparati at checkpoints and flashpoints in the Dapchi area. 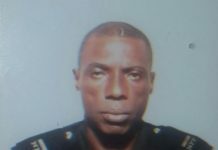 They are also aware that the Buhari Presidency, as the principal command center of military operations, has refused to come out clear on the compromising of security and why no arrest has so far been affected in the entire saga, thus betraying a high-level of government conspiracy against the citizens for political reasons. The PDP therefore calls on the United Nations (UN) and the International Criminal Court to declare this evil by the APC Federal Government a war crime against humanity and immediately commence investigation on the matter. We demand the arrest and prosecution of all those involved in this saga. In the same vein, we join Nigerians to demand for the setting up of a UN monitored Truth Commission to unravel the facts around the Dapchi event as well as the abduction of Schoolgirls in Chibok, Borno State in 2014. While we commiserate with the families of our loved daughters and rejoice with those whose daughters were brought home safely, we urge Nigerians to be alert and continue to monitor the activities of the APC as we approach the 2019 general election since it is now clear that this government will stop at nothing in its desperate bid to perpetuate itself in power against the will of the people.